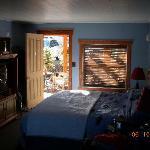 Ameritel Inn provides the finest hotels and lodging facilities. Along with upgraded and superior accommodating hotels and motels, they even provide superior luxury spa and indoor pool facilities than any other service sector under this head. Lodging includes separate living room, bedroom and even workstation. They even provide expansive and mouth-watering hot breakfast in buffet. The kitchen of the motel and hotel chain provides excellent delicacies including Idaho potatoes, omelets, pastries, Belgium waffles and other dishes. According to records, they are a private undertaking company and came into existence in 1995. They were incorporated in the region of Idaho. Corporate office is situated at Boise, in Idaho. There are currently 0 consumer reviews about Ameritel Inn available. Share your review. Please take a note that you are about to post a public review about Ameritel Inn corporate office on CorporateOffice.com. This review will be public, so please do not post any of your personal information on this website. If you would like to contact the corporate offices of Ameritel Inn, please use their contact information such as their phone number, website, and address listed above to contact them. However, sometimes staff from Ameritel Inn headquarters do read the reviews on this website.